With the exception of some industry insiders who may have known about this deal, it seems to have caught most of the entertainment world by surprise. Lucasfilm is responsible for the Star Wars and Indiana Jones franchises, along with many other hits. Assuming all Star Wars related properties are included in the agreement, Disney is gaining the franchise’s six feature films (five of which are in the top 100 worldwide box office earners in history), the Clone Wars animated television series (currently in its fifth season), a long-rumored live action television show in development and hundreds of novels and comic books grounded in this science fiction universe. When news of the acquisition broke, one of the main talking points seemed to revolve around the possibility of a new film in the franchise. Bob Iger, Disney’s Chief Executive, said there will be a new series of “Star Wars” feature films, with the first one coming in 2015, and a new movie every two to three years after that. To many Star Wars fans, this could be the most important part of Disney’s purchase. The official press release refers to the film as “Episode 7,” so it is likely to take place after 1983′s Return of Jedi. While Lucas himself is not known to have put any plot details for the last trilogy onto paper, if the wide library of Star Wars novels is part of the deal, the popular Heir to the Empire trilogy by Timothy Zahn (also referred to as the Thrawn Trilogy) would appear to be a perfect ending to the series. However, Zahn’s books pick up about five years after Return of the Jedi, and many of the stars of the original trilogy are in their 60s. In addition, it does seem highly unlikely, unless screenwriting work has been taking place in secrecy, that development and production on Episode 7 could be completed in approximately three years. (Update: In a conference call with investors, Iger said “an extensive and detailed treatment for the next three movies” was included as part of the sale.) While Lucasfilm also owns the Indiana Jones franchise, how much of that property is included in the sale is still unknown, since Steven Spielberg (who has a deal with Universal Studios) is involved with the franchise. No plans have been announced for more films in that series. On July 31, we wrote of a rumor suggesting that plans were in motion to clear land in the back of Disney’s Hollywood Studios in Orlando intended for a Florida version of Cars Land, which opened to rave reviews at Disney California Adventure. 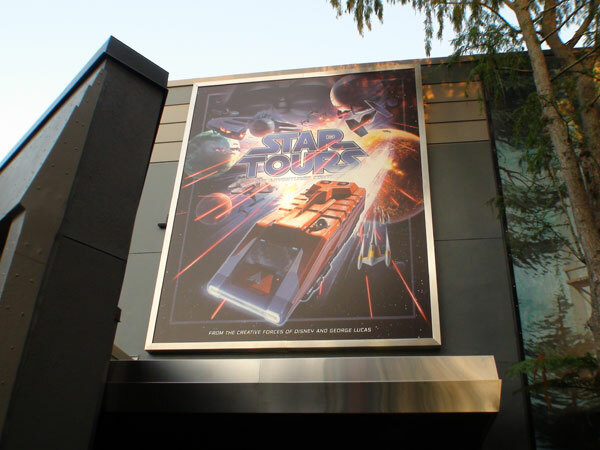 With today’s news coupled with the Studios theme park being the current home of the Star Tours attraction, it seems possible that it could be a Star Wars expansion coming to this park instead. There’s been no official word on that issue (or the inclusion of anything else from the Star Wars universe) in the press release, but since The Wizarding World of Harry Potter opened at Universal Studios Islands of Adventure, many in the theme park industry have been looking for Disney’s “counterpunch.” Neither the new Enchanted Forest expansion in the Magic Kingdom’s Fantasyland, a possible Cars Land-like addition or the forthcoming Avatar-based land in Disney’s Animal Kingdom are expected to have the same appeal as Harry Potter, but more Star Wars in the Florida parks could provide the perfect answer to both the original Harry Potter land and the anticipated expansion into Universal Studios Orlando. With Disney’s portfolio now containing not only their own characters, but those of PIXAR, Marvel and Lucasfilm, the possibilities for the theme parks seem endless. And, unlike the purchase of Marvel, which forbid use of Marvel characters in stateside Disney parks east of the Mississippi River, Lucasfilm properties are already present in Disney parks, so an obstacle similar to the one created in the Marvel acquisition should not be an issue.